The holidays are a busy time for everyone. 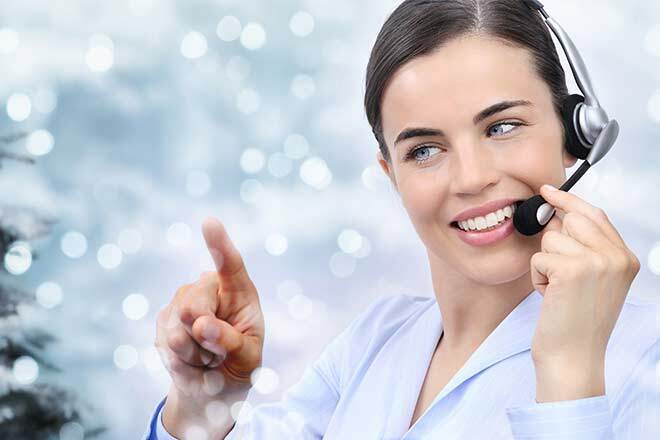 For those who work in the field of customer service – especially in call centers and similar settings – the winter holidays and the days that directly follow them are some of the busiest and most difficult. With so many people making holiday purchases, there’s bound to be an increased need for customer service when something goes wrong along the way. That's why peak season planning is so important. Keeping consumers happy is an all-year, round-the-clock job, and your call center can't afford to take days off from providing excellent customer service just because your numbers have gone up. Do your call center agents understand the power of empathy statements – and are they using them correctly? Empathy statements are those that use active, personal language to create a sense of compassion and concern for the other person in your tone. They are very effective in settings like call centers since they give callers the feeling that they are being heard, understood, and taken seriously. While assessing their concerns or situation: Ask what can be done for the consumer. Assure them that their concerns are valid, regardless of severity or size. Ask for explanations where they are needed. Clarification is important in these situations, so don't be afraid to ask the consumer to clarify their situation. However, be careful to use positive, personal language while doing so. Let them know you're listening, tell them what you've understood so far, and ask for a correction, if necessary. Usually, the caller will be happy to provide it. While reassuring a distraught or confused caller: When people call your center, they usually have a complaint, concern, or question. They need help or to address a problem. They want reassurance of some kind, and empathy statements are perfect for this application. Thank your caller for letting you know their concerns or asking their question. Assure them that the issue will be addressed promptly and appropriately. Let them know that their feelings are valid and that their position is correct. Consumers feel much better hearing these statements and are much more likely to be agreeable and cooperative upon receiving this kind of feedback. Do something now: Let your caller know that you care enough to address their concerns right away. Tell them how you’re going to approach finding a solution to their problem – and offer them a timeframe for how long they may have to wait, if possible. This will give them a feeling of satisfaction even before their problem is fully resolved – and give your company a solid goal to meet to achieve consumer satisfaction. When your agents promise something to a consumer or client, are they following through on those guarantees? It’s easy to tell a person on the other end of a phone line or chat screen that you’ll make sure that something gets taken care of for them. It’s another matter entirely to actually ensure that it has been handled appropriately. Following through with what you tell your callers you’re going to do will not only make them feel like you take their concerns seriously, it will make them feel as if you represent a trustworthy company. When action has been taken by your organization or department, make contact with the consumer. Even if it’s just an email or follow-up message, they will appreciate the additional thought that goes into reaching out to let them know that your end of the bargain has been upheld. 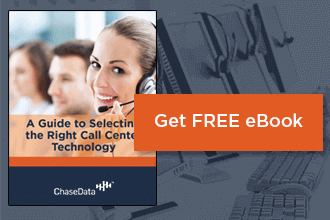 It’s easy to get into a customer service rut when things are very busy at your call center. Whether it’s during peak hours or a peak season, planning ahead will help – and one great method of peak season planning is to have a tracking system in place to keep tabs on both successful and unsuccessful calls during these periods. After these calls are concluded, your agents and management members can look over these notes from each call and determine what’s working and what isn’t, so each call can serve as a learning experience for future exchanges. With so many new and exciting ways to measure your company’s success in both business and customer service, it can be easy to get distracted from the meaningful methods that have always helped you monitor that same success. Don’t let this happen. Your traditional metrics are tried and trusted for a reason. Continue to rely on them for feedback from consumers and building better agent to customer interactions. It may help to keep your employees motivated and focused during busy periods to offer regular reminders of customer service goals. 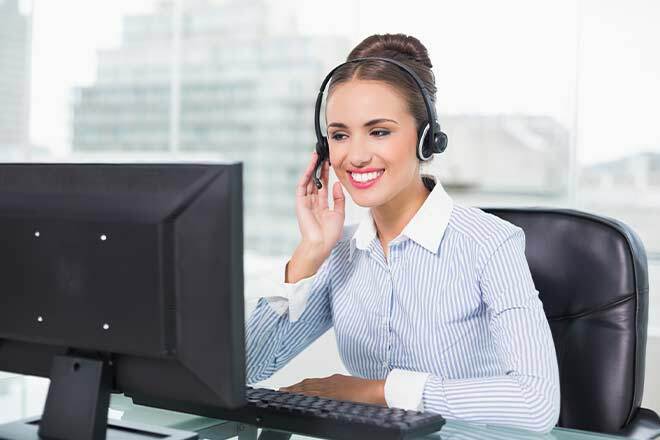 This is not the same as reminding your staff of numbers you’d like to hit in terms of sales or other business-related factors; giving your employees a reminder of the human element behind the headset will help them remember to stay cheerful with every consumer that calls during your busiest hours – even if they’re not the friendliest caller, themselves. If you’re still looking for help with peak season planning, it’s not too late to catch up and get ahead for those to come. Contact the experts at ChaseData for more information about the software solutions you need to help train your entire staff to provide better customer service during every hour of every day – all year long. Your call center’s numbers will reflect your investment in your agents and your customers will thank you!